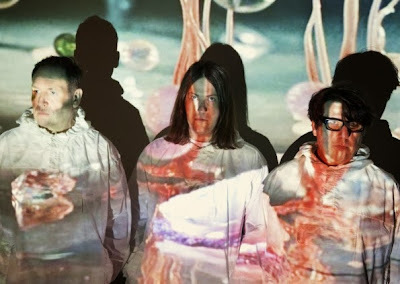 Will Sergeant can be credited for coming up with some of the most iconic guitar riffs of the 1980s as part of Echo and the Bunnymen, but his new band Poltergeist draws its inspiration from German Krautrock. The dynamic of Echo and the Bunnymen has changed drastically over the years, and the band is a source of frustration for Sergeant. “There’s quite a lot of stress in the Bunnymen, so it’s nice to be able to call the shots,” he says. “In the early days, we’d just go into a room and jam, and just see what came out. Nowadays Ian [McCulloch] just presents me with the songs and says ‘here you are, play some guitar on that’ – it’s c**p really. The new project has given Sergeant the creative outlet and freedom that he so craves. For the project, Sergeant reunited with former Echo and the Bunnymen bassist, Les Pattinson. Pattinson left the group in 1999 and stayed away from the music industry for a decade. This article was published by the Yorkshire Evening Post on October 17, 2013.